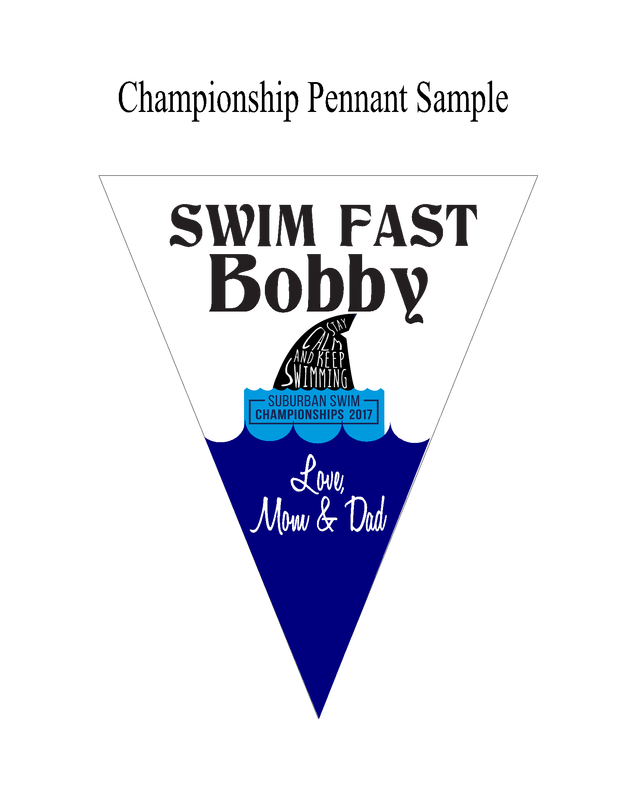 Pennants will be displayed around the Pool Area during Championships! You will receive your pennant as a keepsake following Championships completion with your Team’s Ribbons, Awards, etc. They are cut in a triangular shape.